The photograph presents the ruins of St Mary's Church in Tintern (Monmouthshire, Wales), which was gutted by fire in 1977. 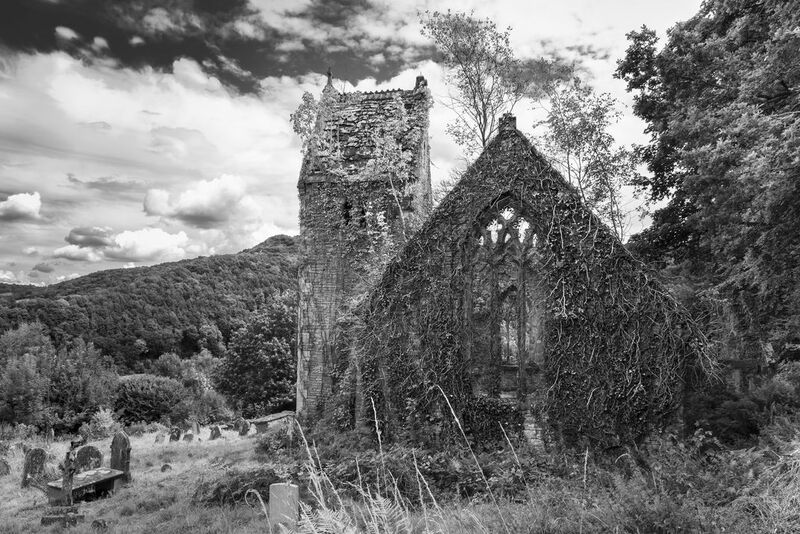 The old ruined church looking out over Tintern Abbey is said to be a place of paranormal activities. Date Uploaded: Nov. 29, 2018, 7:37 a.m.